Dolphins have been observed teaching young how to use tools. They cover their snouts with sponges to protect them while foraging. Dolphins are incredibly social animals. They live in groups and cooperate with each other to get food and in raising offspring (calves). The “killer whale”, or Orca, is actually a dolphin. It is known as a “killer whale” because it is a whale killer, not because it is a whale that kills. 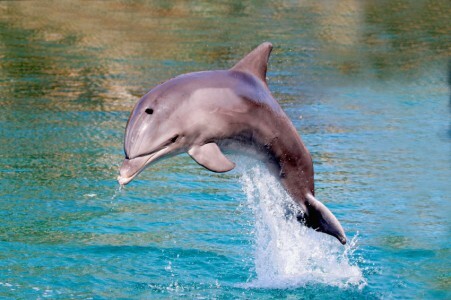 Dolphins can jump as high as 20 feet out of the water!